Bedbound patients will often require a specially designed mattress to reduce the risk of bedsore development, but it can be difficult to find a high-quality mattress at a reasonable price. The SEERS Medical Ex Pressure Reduction Mattress is designed to provide excellent comfort and weight distribution, without sacrificing cost-efficacy and longevity. 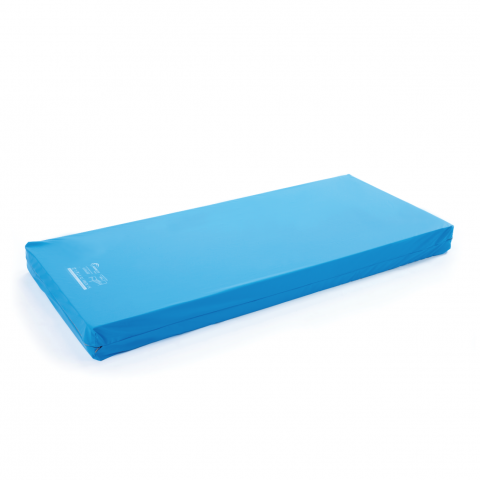 Built with cellular cuts to provide targeted support to all areas of the body, this mattress is suitable for those at high risk of pressure sore development. Home and community care settings are often at the mercy of their budgets, so all equipment must provide maximum value for money. This SEERS Ex Mattress is designed to meet these needs, providing excellent pressure distribution at an affordable price. Built for comfort, support and longevity, this mattress provides cost-effective pressure care comparable to that received with a high-priced mattress. The cellular cut design of this mattress is designed to provide targeted support to each area of the body, with small, densely-packed cells at the foot and head ends to support these vulnerable areas. Cells in the centre of the mattress are larger, providing support for the heavier areas while helping to reduce sacral shear forces during profiling. The foam contours to the shape of the user's body, providing a high level of support in all areas. 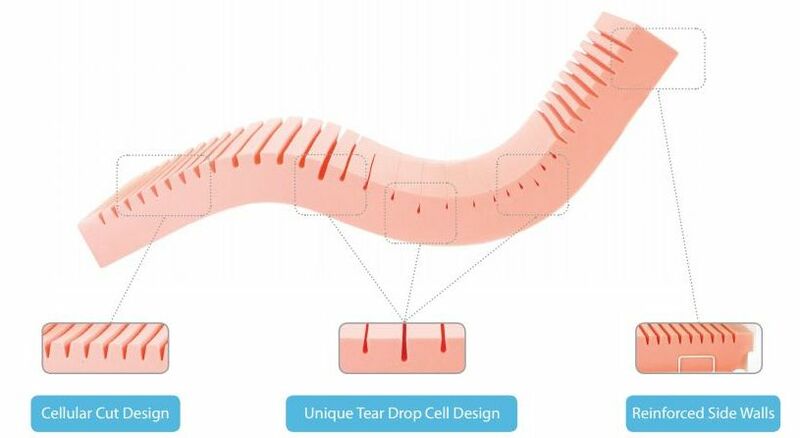 The unique tear-drop shape of this mattress's cells help to reduce shear forces, moving with the skin of the patient as they shift their weight. This shape also allows a high level of air flow through the mattress to prevent overheating and the extra moisture and perspiration it can cause. The side walls of this mattress are built with reinforced foam, helping to provide added stability to the patient. These side walls also help to enhance safety during transfers by providing a stable surface from the which the patient can exit and enter their bed. The SEERS Ex Mattress is supplied with an industry-standard vapour-permeable cover, protecting the mattress while helping to enhance comfort. The two-way stretch material will move with the skin of the patient to prevent the friction and shear forces that less forgiving materials can cause. The cover is also water resistant to protect the mattress from spills and fluid leaks. Please note that the SEERS Medical Ex Pressure Reduction Mattress has an estimated delivery time of approximately four weeks. We apologise for any inconvenience that this may cause and advise you to consider this lead time when placing your order. If you would like any more information about delivery expectations, please contact our customer care team on 020 7501 0592.